A great alternative to a traditional wedding cake or an added extra for your big day or buffet. Added extras include baskets of crackers , butters, chutneys and pates. 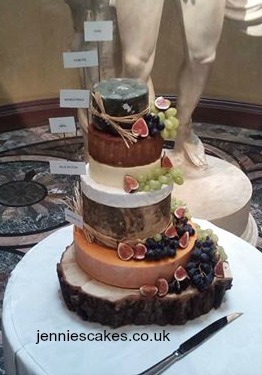 If you don't like cake but still want a wedding cake, a cheese wedding cake is great alternative. It is also a great addition to your buffet table for any occasion. 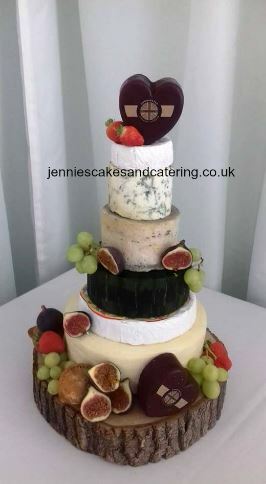 There are so many choices for designs and with an amazing selection of hard, blue and soft cheeses available, the cheese cakes can be decorated with a display of fresh fruits, nuts and flowers if wanted. We can also add different styles of labels in the design so your guests know what cheese they are choosing. Typically you will need 100g per guest and hard cheeses are always at the bottom of the cake also pork pies can make a great top tier. 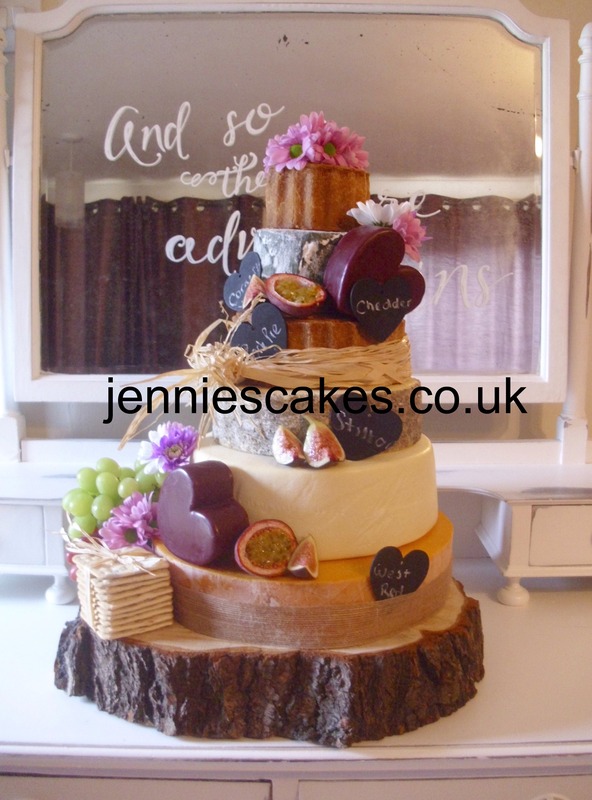 All cheese wedding cakes come on a wooden stand and you can also add a package to your cheese cake to add on pates, breads, crackers, pickles ect for as little as £2 per person. 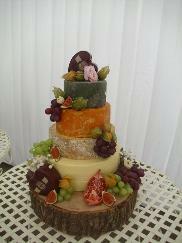 Contact us for your personalised cheese wedding cake.